I have a new addition to my workspace! 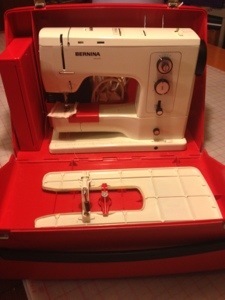 I got a Bernina 830 thanks to my friend Pam! She had 2 and decided to sell one , so now it’s mine! Yea! 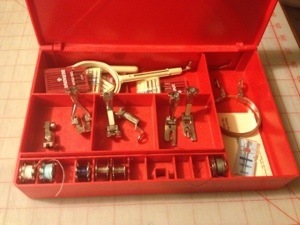 It has a few attachments. I have no idea what a couple of things are in there…. I want to take it out of the case and play with it, but I need to spend time getting some more quilt tops quilted.